The detector detects metal pipes, cables, wooden stud behind the paneling, playwood and others up to 20 mm thick. 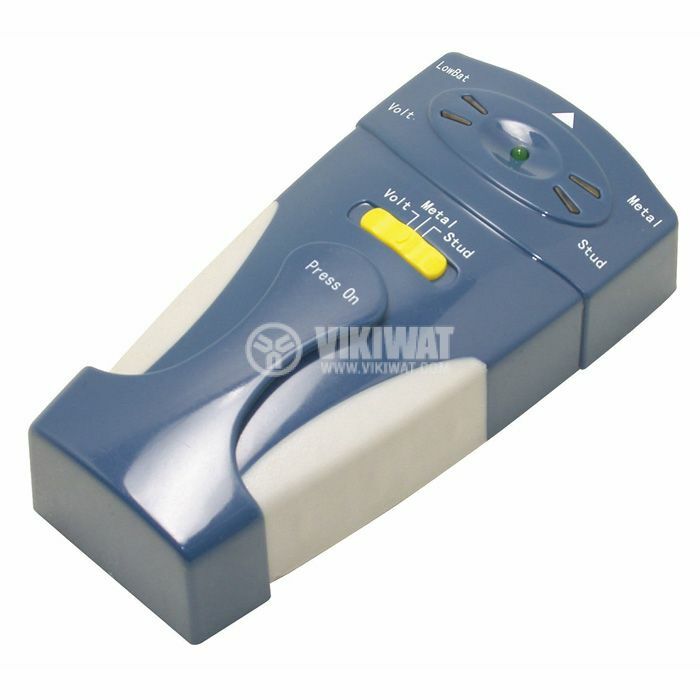 For detection of metals, non-metals and tension. display - 3/4 inch LED. 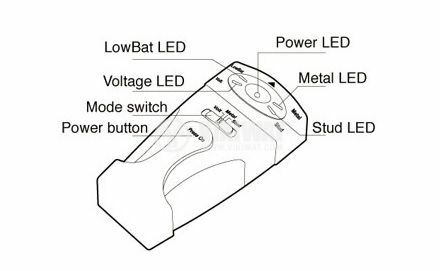 Before use, install the battery (12 V) while observing the polarity.